Dave Rubin is a former liberal who says he’s still a liberal but no one on the left agrees with him. 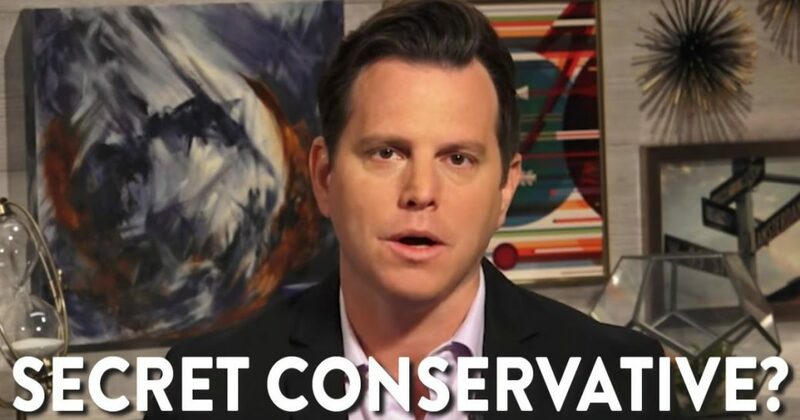 In a recent commentary for his show the Rubin Report, Rubin explained that though he had left “the left,” it’s not as though his old ideas had changed all that much. What had changed was his decision to abandon the regressive and aggressive rhetoric and behavior that most on the left have embraced. “One criticism that I hear occasionally is that I am actually not a real liberal, and I am secretly a conservative. Or sometimes they’ll say I am the only thing worse than a conservative, a dreaded ‘right winger.’ That is true that I have been saying for months that defending my liberal principles is now a conservative position, but am I still a liberal? Do I still believe any of the things people on the left believe? I’m so in favor of gay marriage that I even married a guy. I’m pro choice, I’m against the death penalty. I’m for a social safety net. I’m for a strong public education system, i’m for legalizing marijuana, i’m for reforming our prison system, and I’m against unnecessary wars and nation-building. Beyond any of those specific issues, I’m for true tolerance of opinion and thought. My liberalism is one of a live and let live attitude. This, of course, is where I diverge from the modern left. I see virtually no diversity of thought or tolerance of others on the left today, just constant smearing and slandering of all intellectual opponents. Think about your friends on the left. Are they tolerant of people who aren’t for gay marriage? Or of people who are pro-life? These used to be just political differences, and now they are a referendum on what type of person you are, and whether you can be in someone’s life at all. I get emails about marriages breaking up, life-long friends no longer talking to each other, and people afraid to say what they think politically, because of repercussions it will have at work. Do you know people on the right who are tolerant of people who are for gay marriage and are pro-choice? I actually do, plenty of them.